There’s no denying that American miles are worth less than they were before the AAdvantage devaluation of March 2016. 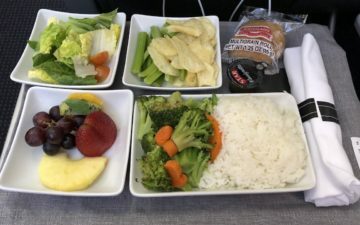 In many cases we saw the cost of international first class awards go up significantly, while in some cases the cost for business class awards only increased marginally. There are still so many great ways to redeem American AAdvantage miles, and in this post I wanted to share some of my personal favorites for travel originating in the US (I’ll write a separate post with my favorite ways to redeem miles for travel originating outside the US). One area where American AAdvantage miles continue to be among the most valuable is for travel to the Middle East & India. Per American’s award chart, this region includes everything from India to the Maldives to Oman to Sri Lanka. There’s so much beauty in this area, and it’s somewhere that’s otherwise tough to get to on miles. 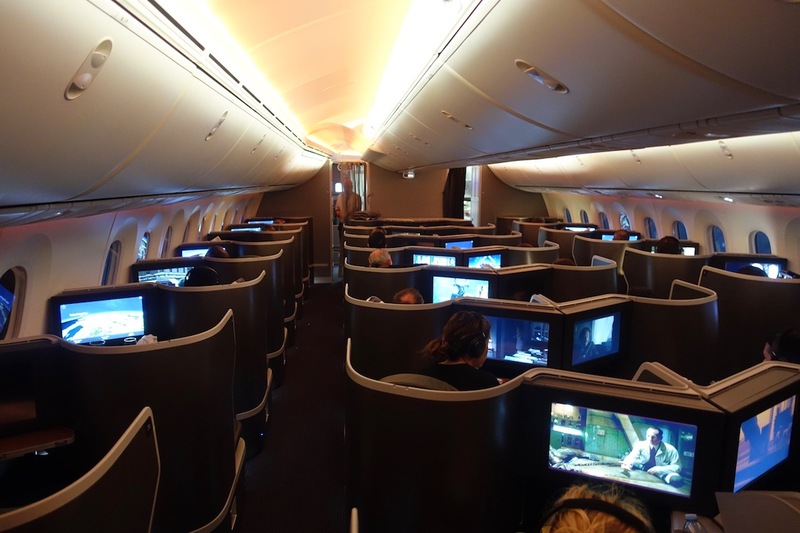 Best of all, American partners with both Etihad and Qatar, and both of them have excellent business class products. Both airlines release a good amount of award availability, especially if booking in advance. I’d note that they’re both inconsistent with releasing award space, though, especially Etihad. Sometimes they open up tons of space in advance. Other times they don’t have any space for months at a time, and then suddenly there’s availability most days. This is an extension of the above concept of going to the Middle East. Africa is one of the toughest continents to get to using miles, and with oneworld you potentially have some great access. To fly to Africa with American miles you can fly either British Airways, Iberia, or Qatar. British Airways has big carrier imposed surcharges and a not-great product, and Iberia has limited routes. Meanwhile Qatar Airways has many routes to Africa, and has the best business class product of the three airlines. So there are all kinds of great flights you can add onto the US service. Note that while Etihad also flies to Africa, you can’t redeem American miles for travel from the US to Africa on Etihad under a single award, so you’d have to book two separate awards. That’s why you’d want to choose Qatar over Etihad. Two of my favorite oneworld airlines are Cathay Pacific and Japan Airlines, and both are pretty good about releasing business class award availability. For just 70,000 miles one-way you can fly business class between the US and Asia 2, which includes China, Singapore, Thailand, etc. Cathay Pacific isn’t quite as generous as they used to be with releasing award space, but they still generally release two business class award seats per flight when the booking window opens (they used to often release five seats), and then often many more seats as the departure date approaches. 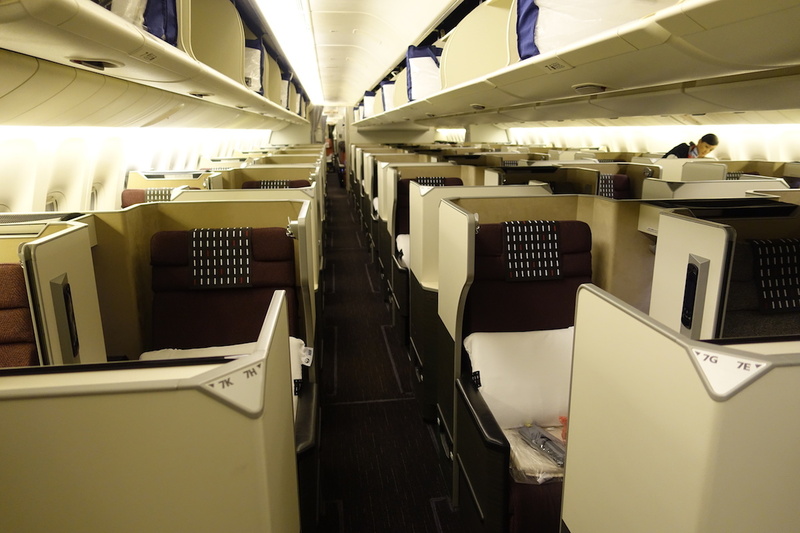 Japan Airlines also often releases two business class award seats when the schedule opens, and they have an excellent product as well. American has an extensive route network in Latin America, including many flights to Southern South America. While American historically isn’t great about releasing award availability, they do occasionally have periods where they release a good amount of availability to South America. So given American’s extensive route network to South America plus their good redemption rates, this is a very good opportunity when you can find the space. American also partners with LATAM, though they are generally pretty stingy when it comes to releasing award availability to partner airlines. That’s not to say that they never release space, but rather that they don’t do so reliably. At a minimum, you can use LATAM to easily find connecting flights between the major South American gateways and smaller markets. 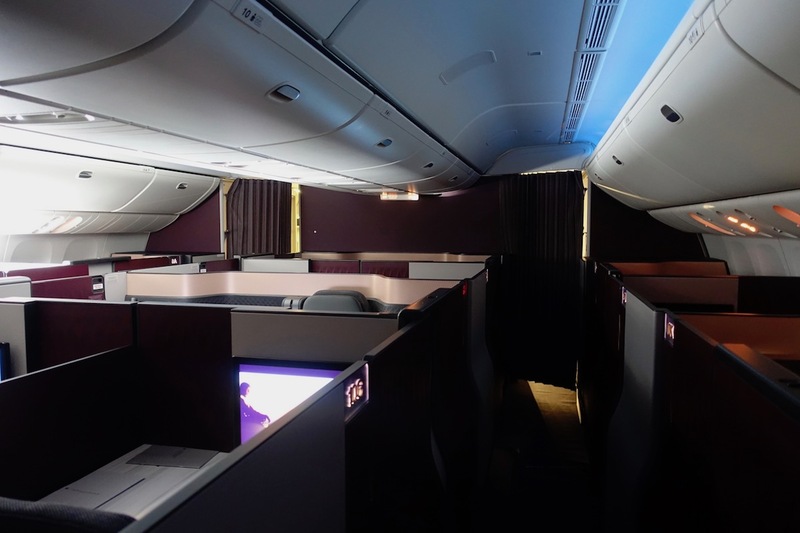 With that in mind, the one international first class redemption originating in the US that I consider to be a really good deal nowadays is flying from the US to Asia 1 (which includes Japan) on Japan Airlines. They have a great first class product, and redeeming 80,000 miles for first class on a 13 hour flight is quite a good deal. The catch is that Japan Airlines isn’t consistent about releasing award availability in first class anymore. They sometimes release a seat when the schedule opens, but otherwise your best odds are to book closer to the departure date, as they often open more availability. I realize that’s not ideal for those hoping to book in advance, or those traveling as a couple. The above aren’t the only good ways to redeem American miles, though they’re some of my favorites when you factor in a combination of availability, relative pricing between programs, and the products you can enjoy. There are lots of other great uses, and I’ll be writing a separate post with my favorite American awards for travel originating outside the US (however, I figured I’d write this post separately since much of our readership is in the US). What are your favorite ways to redeem American miles for travel originating in the US? Can I Link My Business And Personal Credit Cards? Singapore Airlines’ Newark To Singapore Flight Is Now Bookable! Thanks for the ideas. Haven’t been using them and got 300k+ to burn. Think Philippines and maybe new zealand. I think redeeming 90k AAdvantage Miles from Asia Region 2 (e.g. 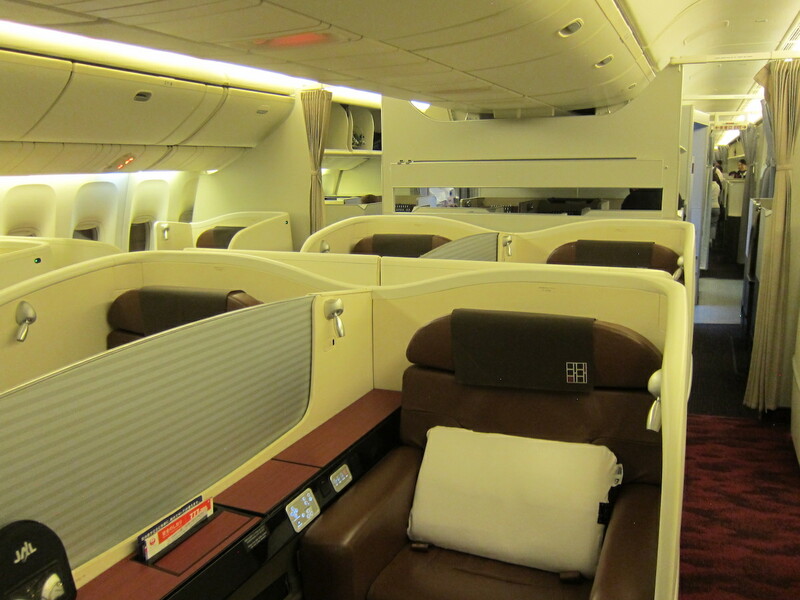 Jakarta, Singapore, Kuala Lumpur) to Europe in Etihad First Class is a good deal. 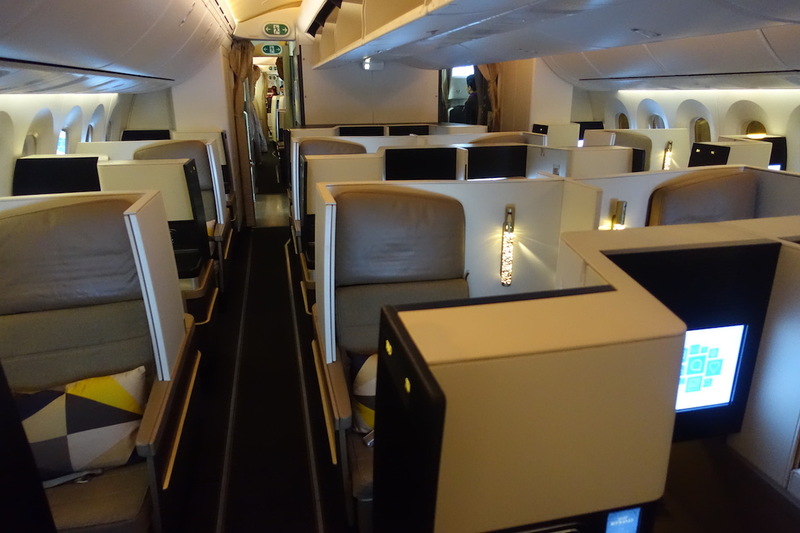 If you start from Singapore, you could try both Etihad 787 and A380 First Class. Any idea how long the Citi Business offer will be available for? I just completed an open jaw trip in first from Atlanta to Belize with a return from Guatemala for 50K miles. I rarely fly AA as they have limited flights from Atlanta, and I canceled my Citi AA card when they switched from Visa to MC. Flights all connected in Miami. You get the idea. 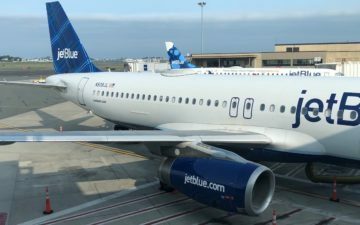 Of course there are always gonna be caveats such as whether there are actually any award seats available on a regular basis, the balance of saving miles versus incurring fuel surcharges, how easy it is to rack up miles in that particular program (I.e. is the program a partner of UR, MR, TYP). But I think you are one of a few bloggers that is well qualified to strike the right balance of those factors. I know you’ve discussed many of these sweetspots over the years and I have countless blog.posts saved but (1) these can quickly become out of date and (2) there’s no easy way for me to find these posts when I need them years after reading the original blog post. Would be much better as a dedicated section of the blog that is kept constantly up to date. How is US to South America 1 for 30,000 miles in J not on this list? Moreover, adding a connection in LIM (or anywhere in SA1) when traveling to SA2 decreases the one-way cost in J from 57,000 to 55,000 miles. I am sort of shocked that AA hasn’t closed this loophole. I’m not sure I really agree with Africa being a “best use,” given that QR is essentially the only option if you don’t want to get hit with massive fees (yes, IB has their JNB route but that’s still ~$200 in fees last time I booked it). Besides my moral issues with QR, QR also is not great about releasing award space from the US for weekend departures. Indeed; they’re rare as hen’s teeth. I was scheduled JFK-AUH-MEL using AAdvantage points on Etihad in their outdated previous First seats, then was elated when a single seat suddenly popped up in Expert Flyer for the EXACT date I needed to travel. I was therefore one of the lucky last to redeem for 72,500 just months before the devaluation, saving tens of thousands of points to be refunded back into my account. My itinerary then changed to JFK-LAX in transcon First with AA, LAX-SYD in First with Qantas, then a quick J class hop home to Melbourne. Hallelujah! My bad! Thank you for pointing that out. I somehow forgot about the Etihad strict partner policy. Apparently SIN-AUH-LHR needs 112.500 AA miles. To New Caledonia was a great use of miles, and from New Caledonia to South Africa on Qantas was an even better use of miles! On JAL First Class, at least NRT-JFK, I tracked the release pattern for several weeks recently before booking our award. 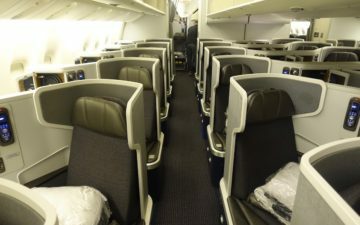 They released 2 F seats on every NRT-JFK flight at exactly 9:00PM ET, 331 days in advance. I called just before 9:00PM, had the agent stay on until the seats appeared, and then booked them. One or both seats were always gone within 12-18 hours of release. It took 3-4 days to actually go from “on request” to ticketed. The trick if the AA agent can’t see JAL seats is to tell them to type “ADV” into the “Inventory” box on their screen. Then the seats will immediately show up. At least one agent I spoke to on a test call didn’t know how to do this, but another agent explained how it works. Malaysia Airlines First Class from Kuala Lumpur to London for 90K miles or Cathay Pacific First Class from HKG to London for 90K miles are up next for me. I just flew Malaysia First on the A350 ….. Id rather fly CX in biz. Malaysia is NOT a 5 star airline. Seat- 2/5- You sit really close to the floor. Its a modified Business seat. @AaronP – i don’t believe you need to pay the fees with your Citi Aadvantage card to reap this benefit. Merely having it entitles you to the 10% back. The only downside is that it’s capped at 10k miles for the year, so it’s really only useful for 1 or 2 redemptions. @Rob – Lucky never talks about the loophole with getting multiple Citi AA cards, but I wonder if you can double (or triple) dip on the points refund benefit if you have more than one card open? Any idea anyone? The answer to your question is no. The refund is not issued by the cc bank, it’s issued directly by AA. They know if you’ve already gotten it, and aren’t about to let you get it twice. Even if you have both the Citi AA card, and the Barclays AA card, the limit is still 10K per AA account per year. Of course, if you travel with a SO who also has an AA card with this benefit, you can book the first trip for both of you from one persons AA account, and a later trip for both of you from the other persons account, and each get up to 10K refunded. That’s not really double dipping, but at least the two of you end up with 20K back. Didn’t AA-EY partnership get terminated back in April? Used miles for Business Class on Qatar MIA-DOH-BOM-DOH-MIA twice for 2 persons each trip. Total cost 135K miles per person for each round trip. First trip in Dec 2014 and the second truip in Dec 2016. Used 160K miles per person for 2 persons in Business Class Nov 2017 for MIA-LAX-SYD on AA and SYD-NAN-LAX-MIA on Fiji Airways and AA. All trips were paid for by redeeming AA miles. Isn’t South Pacific to Asia 2 in Qantas first for 50k the best option? You can easily redeem something like AKL-SYD-SIN-HKG-PVG. CX now flies to JNB & CPT from HKG so I don’t know why it’s not mentioned under “Africa”. All for 62,500 Y and 70,000 F when available from AS.